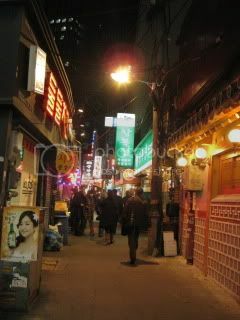 On our second night in Seoul, we went to a very local-style hole-in-the-wall kind of restaurant, which specializes in blowfish…yes, my favorite fugu (that's how we call in Japanese). This restaurant is located in a small alley where cars are not even allowed to enter. You first enter an alley for about 50 meters, then turn to even smaller alley to get there. Even our taxi driver had a hard time finding the location, so he kindly called the restaurant for the exact location. After getting off the taxi on a main street, our driver was so kind to walk us to the front of the restaurant. 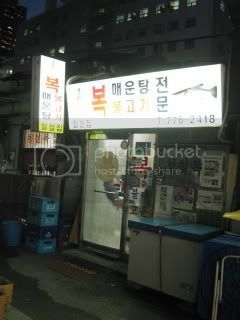 The storefront only had the name in Korean with the picture of a blowfish. 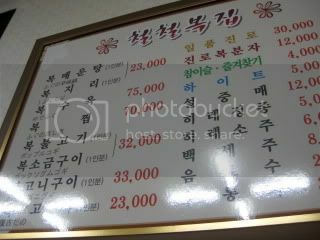 I don't know the exact spelling of the restaurant name in English alphabet, but the name sounds like “Cholcholpokchipu”. 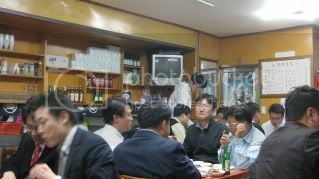 We got there before 7pm but the restaurant was so crowded and so lively. Luckily, we could take a table which just got available after an early dining group left. 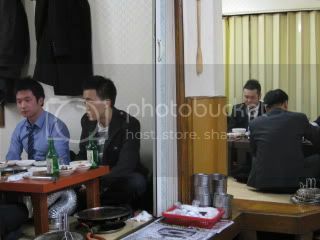 More than 90% of the customers were male, who seemed to have come here after work. And, many of them looked already drunk! I loved this very local ambience. Their short menu was hung on the wall. They have only 8 dishes, which are all blowfish. 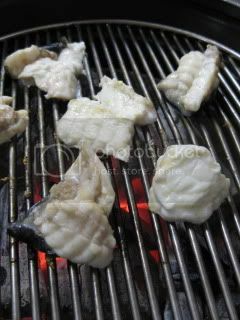 All their blowfish are wild-caught right off Cheju Island. One of the madams of the restaurant kindly helped us with the menu. 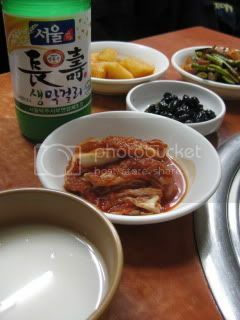 We started with banchan (small dishes) and makgoli. There were kimchi, sweet black beans, potato stew, etc. Extremely hot charcoal was set on our table. 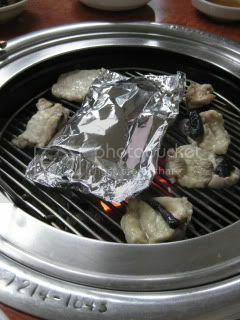 Our first dish was charcoal grilled blowfish. We made two orders and were surprised how large it was. I was also surprised that the fish was served with the skin on. 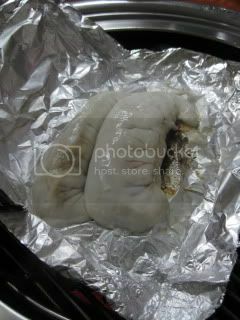 In Japan, blowfish is normally served after the whole skin was removed (and cleaned) by a licensed handler/ chef, so I’ve never seen or eaten blowfish with its skin on at restaurant/ store before. 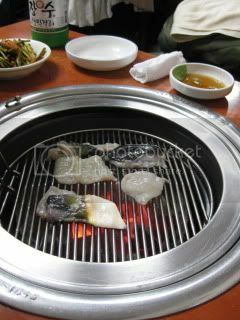 The fish was grilled over charcoal and served with light soy-based sauce with wasabi. The grilled blowfish was INCREDIBLE to say the least. We were both in shock. The fish was super fresh quality and so pure and subtle in flavor. 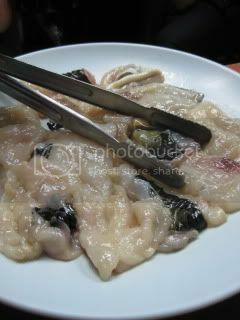 We also ordered blowfish testicle (in Japanese, it’s called “shirako”). It’s a highly-prized delicacy and right now is the end of the best season for it. 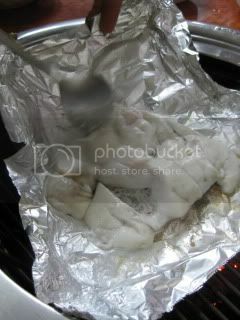 It was wrapped in foil and cooked in the grill. After 7-8 minutes of grilling, it was ready. Again, I was so surprised by how big this shirako was!! In Tokyo, it’s normally served in tiny portions and don’t get to see the whole shirako at a restaurant. This huge shirako was roughly broken by a spoon, then served simply with sea salt. Wow, I totally had a moment…it was so creamy (almost like mascarpone cheese), super pure, and super delicious. The flavor was rather light and elegant. I also couldn’t believe how cheap it was. This whole serving of the testicle was only KW33,000 (about $33), for which we could probably get just a couple of spoonfuls in Japan. Then, we moved onto blowfish hot pot. 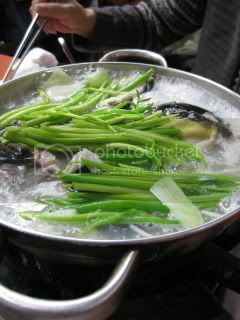 It was another extremely simple dish with just blowfish and some vegetables in simple broth. 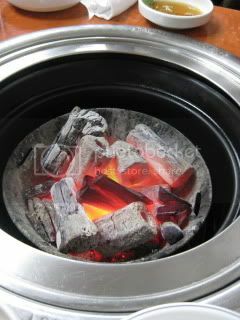 Yet, the aroma coming out from the pot was so nice that I could already tell it was going to be great before it was even served. I was right…it was another incredible dish. 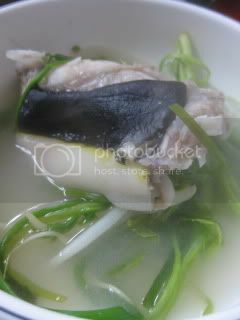 The broth was simply infused with the blowfish and vegetables (green onions and bean sprouts) cooked in it, and it was so rich and soothing. 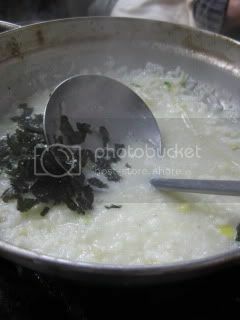 After savoring the hot pot, we asked for quick "risotto" in the broth as a finishing course. 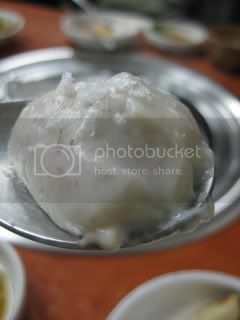 After most of the remaining vegetables were removed, a madam put some cooked rice in it and cooked for a shot time. 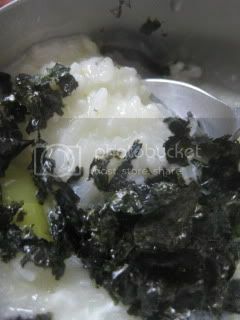 It was served with Korean nori seaweed. 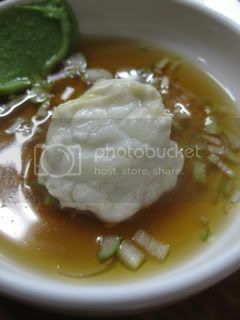 The rice soaked all the rich flavors of the blowfish broth. It was such a great local experience with a great local meal. I want to go back to this restaurant again.